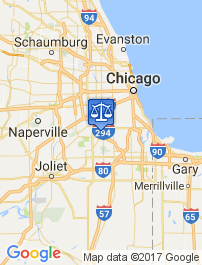 What is the Penalty for First-time DUI in Illinois? Generally, the driver is then released on bond and given a court date as well as notice that their driver’s license will be suspended in 46 days. If the driver is a first time DUI offender, the period of suspension will be for 6 months if the results of the breathalyzer show a BAC of .08 or greater, or one year if the driver refused to take a breathalyzer test. If the driver is not a first time offender, the period of suspension with be one year if the results of the breathalyzer show a blood alcohol concentration of .08 or greater or three years if the driver refused to take a breathalyzer test. If the driver is a first time offender, he or she can apply for a MDDP (Monitoring Device Driving Permit) to drive. If granted, a device that measures the blood alcohol concentration of the driver will be installed in the driver’s vehicle. These devices are expensive to install and maintain, and the cost is borne by the driver. At trial, the State will call their witnesses, which generally consist of the arresting police officer. The State will then rest their case. The driver will then have the opportunity to present any evidence he wishes, including witness testimony or his own testimony. However, the driver is under no obligation to testify in a criminal case. The Prosecutor and the driver’s attorney will then make arguments to the judge or jury. Post trial, the judge or jury will make a finding of guilty or not guilty. 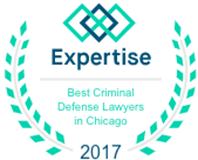 If you’re charged with a DUI offense, you need the representation of an experienced and aggressive criminal defense attorney. Every case is unique. Ensure your lawyer is giving you the attention your case deserves. 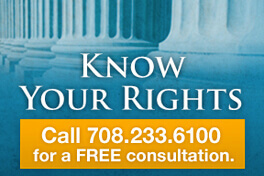 Call Dennis Dennis Dwyer at 708-233-6100 immediately to protect your rights throughout the DUI process.